Companies Who Get It Right. Great customer service starts from the ground up. Many of you know that I am a big fan of TELUS. They are a company that is completely captivated with improving customer service every day. You can learn more about TELUS and how they are putting customers first at www.telus.com/expectmore. Not all companies are perfect; in fact, a lot of companies have a long way to go. But, when we hear about stories of exceptional customer service, we are blown away because it proves that there are still companies out there who get it right, who still genuinely care about their consumers and helping those who really need it. The Perfect Fish ‘N Chips. This past summer, Gabby and I took a road trip through New Brunswick. It was a chance for us to connect, have fun and see the beauty of our great country. We had the opportunity to see some amazing things, best of all; we were able to try some amazing food. 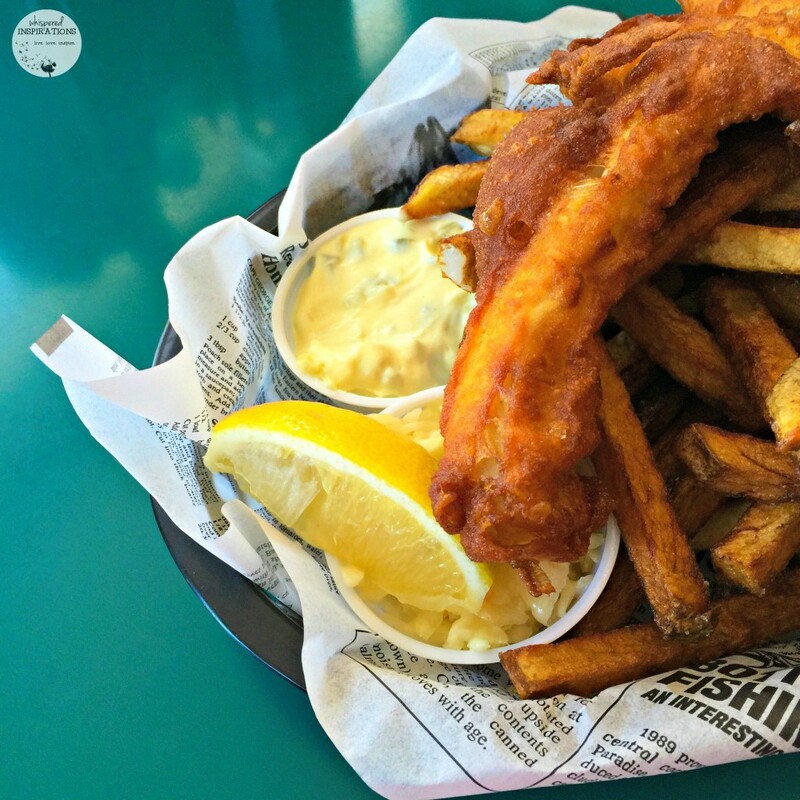 New Brunswick is known for its seafood and I was on a quest to try the perfect fish and chips. We had some killer fish and chips in St. Andrews, fresh, crispy with a zing of lemon! Just last month, I had a craving for fish and chips and Hubs wanted wings. It just happened to be date night so we decided to go to a sports bar, John Max, to enjoy a great meal. Plus, this restaurant has a well-rounded menu that would satisfy both of our cravings. We sat down, the server came with our drinks and we ordered our meals. We waited and waited and waited and then waited some more. The people around us started getting their orders and we were already to the bottom of our drinks. Our server returned to the table and told us that she was very sorry for the wait, unfortunately, after a couple tries–the fish and chips were not coming together as they should. They were falling apart and if it was possible that I choose something else. I agreed and ordered a burger; we finished our meal with no further delays or issues. Just as we were finishing up, a gentleman came over and introduced himself as the restaurant manager, he apologized about the fish and chips and explained what had happened. I explained to him that it’s no problem and that my meal was delicious. He thanked me and handed us a card with a $50 gift card inside. They made it right, they fixed my order and on top of that they went above and beyond to make it feel like my patronage mattered. You can guarantee that we went back and will continue to do so! 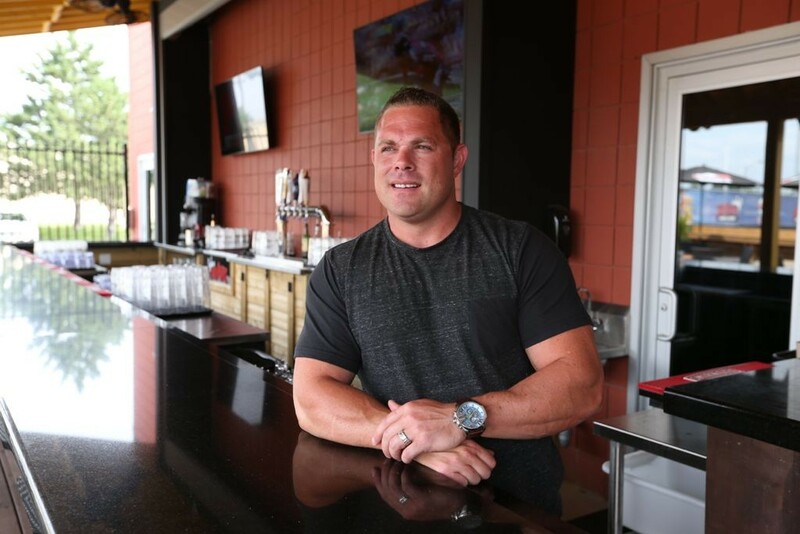 After our experience at John Max, I decided to do a search and learn more about the establishment and it turns out that the owner has made headlines already for stellar customer service for leaving patrons gifts under their cars’ windshield wipers. TELUS Wants You to EXPECT More. 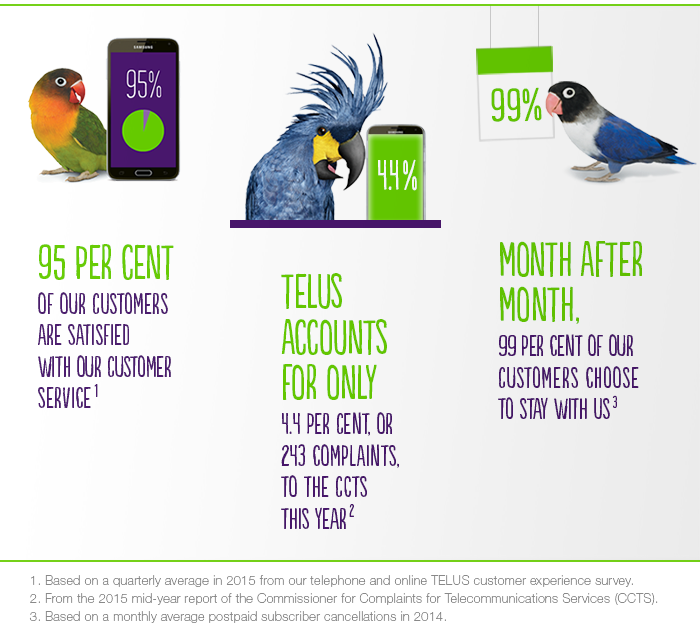 While 95% of customers are satisfied, that simply isn’t enough for TELUS. They believe that when they expect more of themselves, their customers can expect more from them. I think that it is a great state of mind to have. I just happen to be one of the 95%; in fact, I’ve had amazing experiences with them far before I was a TELUS Advocate. I Have Transcripts to Prove It! Every single time that I’ve contacted them they were always pleasant to talk to. As you can see from our conversation above, we have had such great conversations. It feels like I am talking to an old friend, this exchange was when I wanted to upgrade my phone and she helped me out. They always assist with any issue and I have never, ever walked away disappointed.TELUS is obsessed about constantly improving until they deliver an unmatched customer experience at every customer interaction, every time. Plus, they won’t stop until 100 per cent of their customers are happy. Have you ever had an unforgettable experience with a company? Previous Post: « Dreamers Wanted: Disney’s Tomorrowland, NOW Available on Blu-Ray and DVD! I've had a few really great experiences with a company's customer service. Unfortunately, those are the exception rather than the rule. I am glad that you have had some at least! I very nice story about your Fish-n-fries,nice to see the Manager stepped up and took the time to speak with you.Thats great service. Yeah, he made sure things were right. It is something commendable for sure. This is awesome! Now a days customer service is all but gone! We need more companies like this. I appreciate establishments with exceptional customer service. I am always sure to visit again! Me too, it speaks volumes. This sounds like an amazing company. I love that they went above and beyond to make sure you had a good experience. I think it speaks volumes about the owner. True class. I hate companies who don't care. it makes me really sad! Finding one that does care and gets it right — they get my vote and my business every single day. It is something that is commendable! When it comes to good service, customer service is what's most important. I hate going somewhere and dealing with rude workers! Great stories about wonderful customer service – nothing better than feeling special. So true, it is great to see companies who care. That is why TELUS thinks we should expect more! I love when companies listen to their customers!! There are a lot of companies who care but other factors can get in the way. Me too, I am glad that TELUS makes sure that customers should expect more! Wow. What great experiences you had with those companies. Wish it was that way more often. There's nothing worse than ordering your food and waiting forever for it while other people get theirs even though you were there before them, customer service is definitely important! Yes, but it was great that the owner made it right. Great guy! Thanks, I truly appreciated the whole experience! I love hearing goof customer service stories. I used to work in customer service and I know how it can be. I love hearing peoples experiences so I know which companies to deal with and which to avoid! Me too, it is refreshing! That was amazing customer service! As a customer, when things like this happen and the store or restaurant go the extra mile, it makes me feel special. It lets me know they value me as a customer. That is exactly how we felt and the next time we went in, we had a flawless experience. It's always nice when you go to a place that makes you feel like a valued customer. Especially when a mistake has been made! That sounds like a great company! I love when companies have good customer service! As they say the customer is always right. Those fish and chips look so good too. it's so hard to find a place that has great food and excellent customer service! It's nice when people share the good stuff… we usually only bother telling people when its been bad! We should share more often! That is for sure! When it happens, I think people should share too! Those Fish N Chips look delicious. I just love companies who get it right and good customer service is really important to me. It really is to all of us! I love when a company strives for great reviews for customer service. Looks like this one not only tries, but succeeds! Wow, you don't hear about this kind of thing very often, but they obviously care a lot about their customers and what they're serving. It's great to hear. I'm amazed that they wrote little notes like that to their customers about safe driving. That is so awesome and totally sending the right message. Other businesses might have had the cars towed away. You are right! Some would have them towed. It says a lot about the business. It is true that companies should really take good care of their customers. The sad thing is that some big companies seem not to care anymore since they have the monopoly of the market. Unfortunately, that is true for a lot of companies. It is refreshing to see companies that do though. I like that they give premium when their customers remain responsible. They really show concern to their customers as well as promote the right values. It really pays to be responsible and loyal and it is rare that companies take note! I am loving companies with good customer service. I've experienced some not good happenings because of bad customer service and it make me sad. Aww, I hope you do experience good soon. This sound as a good company. Just continue on what you started, such an awesome company. I think eventually (aka really soon) we're going to have to switch over cell phone providers. Especially with the amount of travel we do, and to remote places. I feel like T-Mobile only covers major cities. Huge pain. I'm sorry you didn't get to try the fish and chips, but it's nice to hear you were able to experience great customer service! Yes, it happens and I understood but, glad they made it a great experience! Customer service is such an important part of a company’s success. Wish more understood this. How wonderful you had such a great experience. What an amazing customer service, I have never experienced such amazing service before but glad you did. I wish it were like this every time, we should expect more. Although I have a different service provider, I have heard great things about Telus! Good customer service is essential to any successful company! Wow what an amazing company! I love when companies truly care about their customers, makes the experience so much better! It is so important to use companies with good customer service! I specifically don't go to certain stores or use certain services with bad customer service. Thanks for this post! Customer service is so incredibly important. I find it so crazy that some companies can't see the potential that there is by putting more care into how they treat their customers! You can make customers for life! Glad some do see the value!